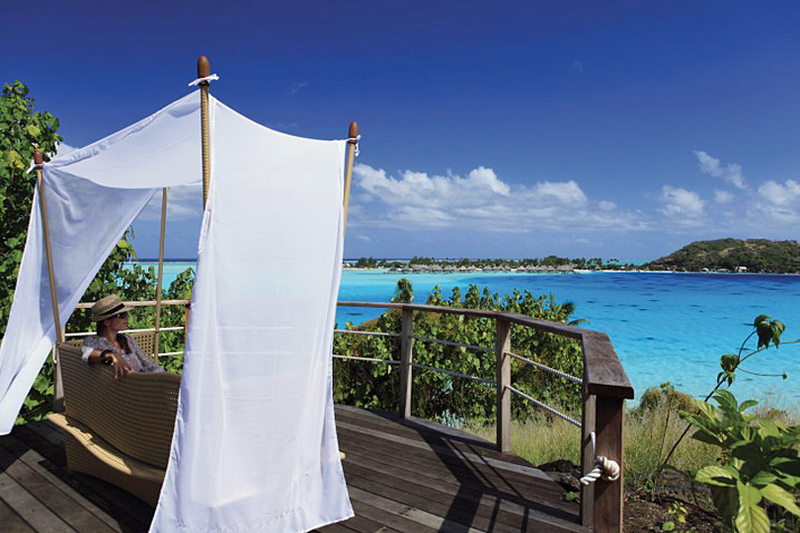 Thanks to Norah, a Boutique Travel Blog subscriber, for this fabulous review of her honeymoon hotel in Tahiti. The thing about choosing a destination for your holiday is that you can never know if all the reviews you have read online will turn out to be true. Will everybody else’s amazing experiences ensure that you’ll have a nice time too? Despite some tourist locations being described as exciting and unique it does not mean that the feeling a certain reviewer has had will match the one you are about to experience. Arriving at Bora Bora on my honeymoon, I was excited to the maximum, but still a bit reserved because I thought that it could not quite be true that ALL the people who have written about this place have really had such great vacations. I was, as it turned out, quite wrong – our stay at the Sofitel Bora Bora Private Beach Island was a truly remarkable experience! 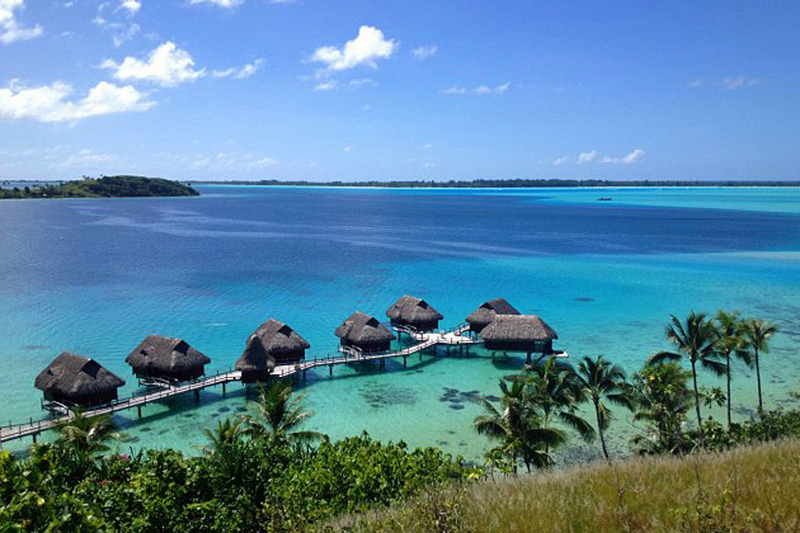 In a beautiful part of French Polynesia, Bora Bora’s geographical position ensures a warm climate throughout the year and, combined with its lagoons and sandy beaches, it is a real treat for tourists seeking relaxation. 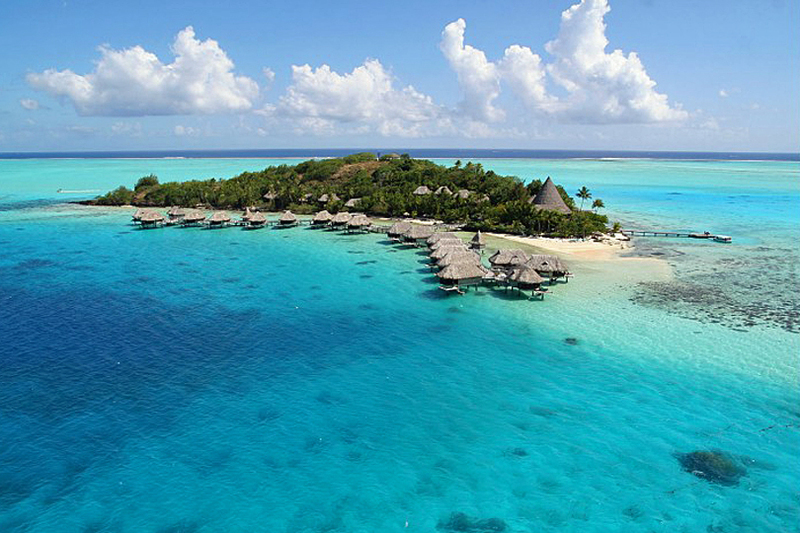 The main attraction, besides palm trees, corals and a rich sea life, are the stunning overwater bungalows. My first surprise was the arrival. The resort is quite close to the airport, so it took us less than half an hour to get here by boat. 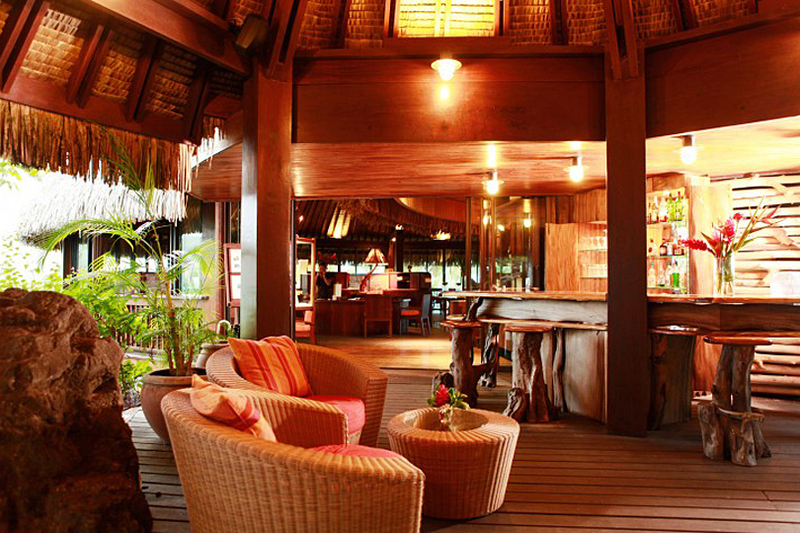 It is comprised of only a handful of rooms and bungalows, perfect for a very private and intimate experience. There is none of that hustle and bustle present in larger hotels. You can choose to socialize if you wish, of course, but honeymooners often opt for this specific type of accommodation precisely because of the privacy they offer. 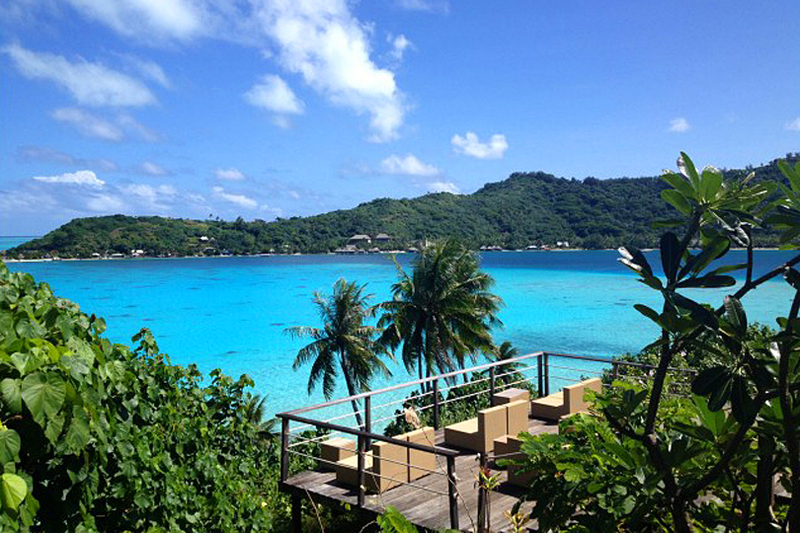 Being a resort of such a high quality, the Sofitel Bora Bora Private Beach Island also provides you with options for activities such as snorkeling, kayaking, jet skis and deep-sea diving to the coral reefs. We started with snorkeling and it was even more enjoyable than I could ever have imagined! Seeing turtles, corals, fish and rays in their natural habitat was very special, but what really made this experience unforgettable was watching the sharks feeding. It is terrifying, exhilarating and majestic all at the same time. We also found that the kayaks are a magnificent way to explore the shores of Bora Bora. Even though I have never kayaked in my life before and feel out a number of times, we had a really great time. Bora’s lush nature is also well worth exploring and the hotel staff were able to suggest hiking trails and guides. Regarding the resort itself, there are a number of things that need to be mentioned. First of all, the reception works around the clock and is handled by the most pleasant crew we have yet encountered – not only do they speak perfect English, like the rest of the staff, but they were extremely helpful. Also, the bar is packed with a great liquor and wine selection, while the restaurants offers a great menu, adjustable to your preferences including vegetarian. Finally, the resort also has a billiard room, a pool, a tanning salon with a massage centre and a spa, as well as a boutique with all of the world’s most famous brands. We stayed in their honeymoon suite which was simply perfect with a big, comfortable double bed, a complimentary mini bar, air conditioning, a safe, free WiFi and a fabulous TV and sound system. What’s more, the management of the hotel provided us with honeymoon gifts that included a black pearl, Tahiti’s exclusive gem. It is not enough to stress that our honeymoon was simply marvelous, but, at the end of the day, it really was just that: marvelous, a high-class resort on a beautiful, exotic island. We booked our honeymoon holiday package on Tahiti through TahitiTravel who were incredibly helpful. They found the perfect resort and package for our honeymoon for which we can’t thank them enough – a fabulous holiday we’ll never forget. Yes, I would have thought that one at the far end would be the most private and that they are all great for snorkeling. Have a fabulous time.